The Craftinomicon: Butterfly Collection Pillows! It has been a very busy week! Lots of working, laundry, packing and gift making for my upcoming trip to Wisconsin to see my family. I'm excited for the trip but I am also exhausted from all the work! 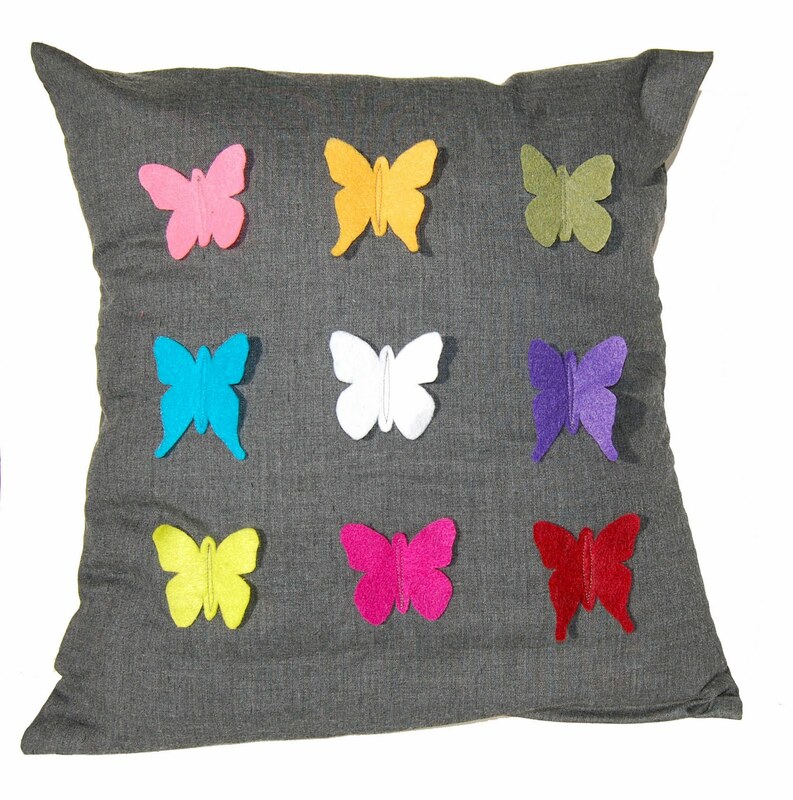 Here is the final outcome of my butterfly project from a couple days ago, butterfly collection pillows! These butterflies would make a lot of other great projects as well: tote bags, a sciency looking butterfly pincushion maybe? Some wall art, shadow box, etc. The best part is you only have to sew around the little body shapes so the wings are free to give your project extra dimension. For the butterfly template I used, check out this post. I got the original idea for this project at Ruffles and Stuff but I liked a more intricate butterfly, and wanted to use brighter colors.